MoMA Exclusive: Get closer to the stars than you’ve ever been. The award-winning Stellina Smart Telescope brings the wonders of the universe close to you. Thanks to its sleek, compact design, the telescope can be easily used from your home or transported anywhere (it weighs only 15 lbs.) for a unique journey to the stars. For use at home, the Stellina is powered with the included USB cable. For use on the road, a 20,000mAh portable power bank (not included) provides up to ten hours of use per power bank charge. 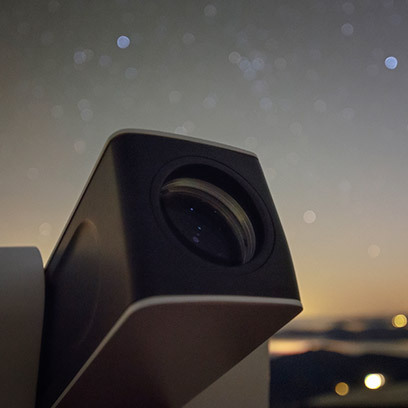 Developed over more than three years by French company Vaonis, Stellina (Italian for "little star") is the first telescope of its kind on the world market, a revolution in stargazing. Designed for science and tech enthusiasts dreaming about space exploration, this user-friendly smart telescope connects to your smartphone or tablet. Via its app, the Stellina lets you explore and capture the beauty of the universe, from galaxies to lunar craters. 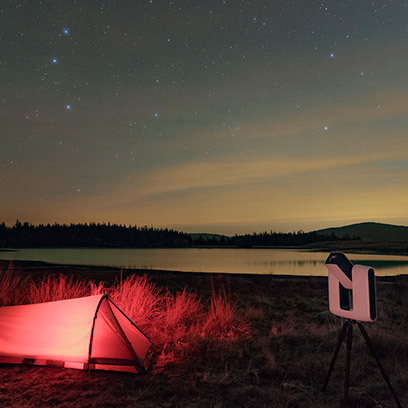 The telescopes uses smartphone GPS system to select a star and start photography. Within minutes, your device will receive details of famous celestial locations, such as the Andromeda Galaxy and the Orion Nebula. You’ll be able to travel thousand and millions of light years with just a touch of your fingertips. The photos you take on your device can be shared immediately with friends, family and on social media. Made in France. View phenomena such as solar eclipse or your favorite objects, the Andromeda galaxy and the Orion nebula. The first telescope of its kind, and available only at MoMA Design Store, the Stellina is a smart and robotized device. Using GPS, it locates stars you want to photograph and automatically positions itself. 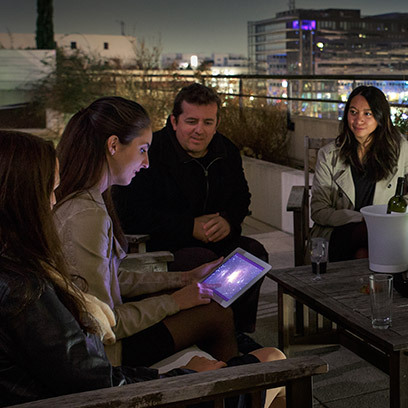 The Stellina has democratized observatory-style stargazing by making it easier and user-friendly. Looking like no other telescope, with its sleek monoblock shape and compact dimensions, the Stellina is suited for use both in your home and while traveling. The Stellina uses GPS and robotics to locate the stars you want to photograph and positions itself automatically, saving you hours of time. The compact monoblock design allows you to use this telescope in your home—or take it on the road to areas with optimal sky views. Receive photos of your space exploration on your tablet or smartphone so you can share them instantly on social media.